Get Ready! Nike App will assist, if you "Just Can't Do It"
Ever thought your sport shoes could be truly ‘Smart’! At the outset, Nike is doing away with the need to tie your shoelaces. Now your shoes will automatically loosen or tighten when you step into them, and then adapt based on your activity. 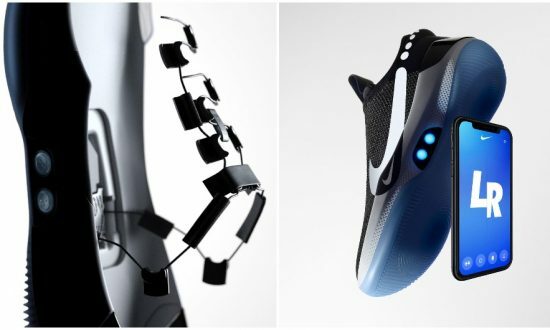 Nike unveils the Adapt BB basketball shoe, a footwear that you cannot buy otherwise for indulging except in this sport. But then again, the Adapt BB is more about smartening up the fit and customization aspects. The key aspect is that it connects with the Nike Adapt app for smartphones. This enables Nike Adapt, a platform which uses the advanced power-lacing system, to control the fit of the shoe. “We picked basketball as the first sport for Nike Adapt intentionally because of the demands that athletes put on their shoes. “We’ve finally added firmware to footwear, letting us continuously improve the product you’ve already bought,” says Michael Donaghu, Nike’s VP of Innovation, in an official post. The company will ship the Adapt BB with the charging pad to charge these batteries up again. The new Adapt BB sneakers launching next month, will be priced at $350 (around Rs. 24,800). The exact India pricing and availability details are awaited. Check out Malaika’s new gym video; You will forget ‘Bending it like Beckham’!